If a country is big enough, it will have a north-south divide. Britain’s got one. So has the United States. And Italy, France, Spain, Germany and many more. But if countries have them, so do continents. There’s a strong north-south divide in Europe between the sober and serious north and the sun-drenched, fun-loving south. Of course, it’s not really as simple as that. The stereotype of the fun-loving south is complicated by the fact that, compared to the north, the south is also death-loving. In the United Kingdom, for example, we tend to be squeamish about death and dead bodies. We like decent burials and cremations that turn bodies into clean ashes. 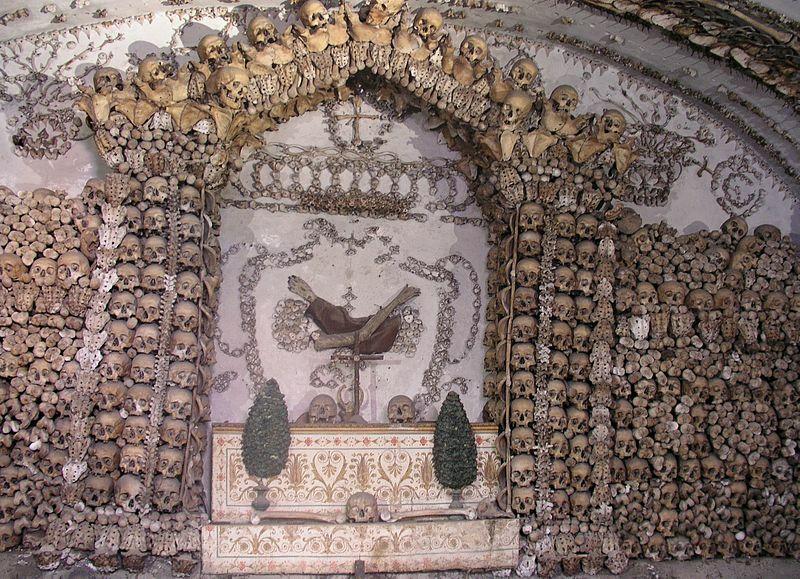 In Italy, they’re much more open and there are many churches where dead bodies are on open display, lying in crypts or reliquaries. It’s north versus south and also Protestant versus Catholic. Catholic countries like Italy and Spain aren’t just much more open about death, they’re also much more open about dying. Catholicism places much more emphasis on the pain and suffering of Jesus. The Stations of the Cross, or scenes from the day of Jesus’ crucifixion, are familiar to every Catholic from childhood. Sometimes the Stations are great art, sometimes they’re crude and unsophisticated, but they’re always disturbing and often bloody. Jesus is whipped and crowned with thorns. Jesus is forced to carry the heavy cross. Jesus is nailed to the cross. And highly realistic statues and paintings of the crucified Jesus and martyred saints are also found everywhere in Catholic churches and cathedrals. To someone from a Protestant culture, these images can be too strong and unpleasant. Are they psychologically healthy? Are they not sadistic and obsessed with blood and pain? Perhaps they can be, but they can also be seen as more honest and realistic about the darker side of life. Catholicism doesn’t turn away from death and suffering. It makes them central to its religious teaching. And it balances them with images of the infant Jesus and his mother. Catholicism is about birth as well as death, and the religious calendar in a Catholic country moves from celebration to mourning just as everyday life does. We celebrate the birth of children and mourn the deaths of our loved ones. In Catholic countries, that ever-recurring cycle is reflected in religious art and imagery more strongly than it is in Protestant ones. Protestantism is more centred on the words of the Bible, not the pictures that are conjured by those words. Of course, some forms of Protestantism are much closer to Catholicism than others. There are divides in institutions, not just countries and continents. In the Church of England, you can find very plain and austere churches and very richly decorated ones with gory representations of the crucified Jesus. There’s a special word for Anglicans who still look to the south in the way they worship: Anglo-Catholics. But even an Anglo-Catholic church doesn’t put mummified bodies on open display. The British climate isn’t suitable for that and nor is the British personality. In Italy it’s different and you could say that Britain and Italy are divided by death and their attitudes towards it.